The following article details the Tourism Business Improvement District model that has been successfully implemented in many different parts of California. Now that public sector funding for Tourism in the UK has all but dried up it seems inevitable to me that this TBID model is an obvious choice for any destination, large or small, urban or rural, coast or countryside. TBIDs are reshaping the tourism industry's standpoint on marketing funds. In an effort to better understand the impact of tourism improvement districts, this first-ever study was undertaken. Directors of tourism districts through California were interviewed about their experiences, and the results carefully compiled into this report. 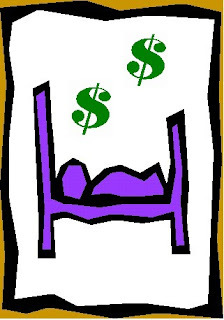 For many years tourism promotion by Destination Marketing Organizations (DMOs) has been funded primarily through the collection of Transient Occupancy Taxes (Room Taxes) levied on visitors when they stay at a local lodging facility. The tax is then collected by the appropriate jurisdiction, either County or City, and funds are fed into a general fund. Room tax funds are utilized by local jurisdictions to fund tourism promotion efforts through local bureaus and chambers of commerce. In some cases, the amount of the room tax dedicated to tourism promotion is decided by formula. But in many cases, tourism promotion funding is allocated based upon competing budget priorities, often against popular programs like police and fire protection. Despite these competing priorities many tourism promotion organizations have been able to maintain and in some cases increase funding levels. Unfortunately, not all tourism promotion organizations have been able to maintain their budgets. Local budget issues that can eliminate tourism funding have been exacerbated by the State’s continued budget challenges. Until recently, State politicians were able to appropriate local funds to balance the State budget. This action put increased pressure on local cities and counties, and as a result many regions saw tourism funding reduced or cut entirely. To combat this trend and create a funding source that cannot be allocated for other purposes, many tourism communities are implementing a Tourism Business Improvement District (TBID). These districts have been formed by local lodging operators to specifically fund tourism promotion efforts. As of the time of this survey there were approximately forty TBIDs throughout California with at least a dozen more on the way. Creation of TBIDs is having a huge impact on the tourism promotion landscape. In the TBID process local lodging operators agree to assess themselves and ask the local government to collect the money and pass the funds onto a designated tourism promotion organization, often times the Visitors and Convention Bureau. This process has already been implemented in a number of communities in California and will continue to occur in the future. Many communities are planning to develop TBIDs as a hedge against potential future budget reductions that would threaten tourism-based economies.